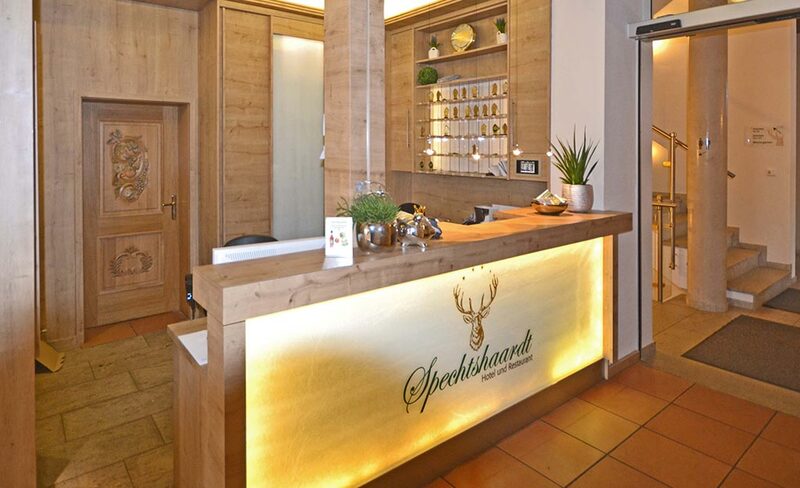 Our *** Superior Hotel is based on top of the romantic Spessart village Rothenbuch. You can overview the beautiful Hafenlohr valley which surrounds the lovely old watermill. All this you can see from out lovely panorama terrace. You will reach us easily through the Autobahn A3 (7km) and still enjoy the silence of our town. By using the Autobahn you can reach in just a little while Wertheim, Aschaffenburg, Würzburg und Frankfurt. The Nature park Spessart is perfect for great hikes, especially the panorama round trip around our town. We use meat from our region and the sausages are made in our butchery We value fresh and seasonal cuisine, which you can enjoy in our cozy restaurant.